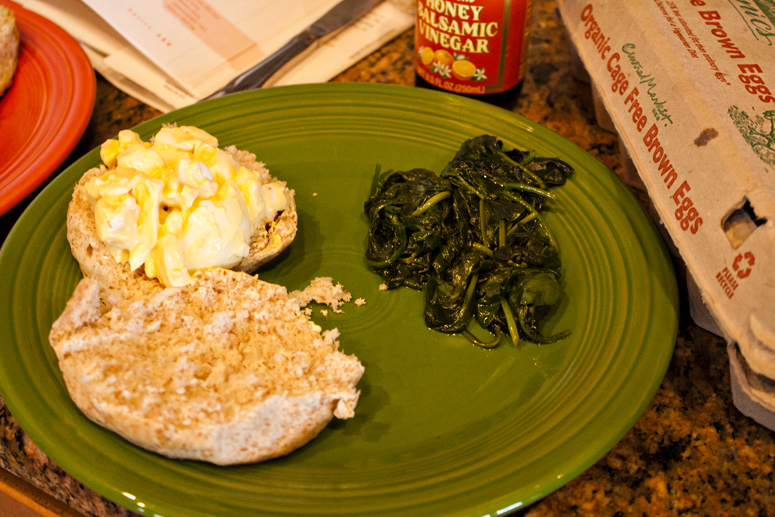 Cooking is quickly becoming one of my favorite things to do. Knowing that I’m eating food that is fresh and very good for me makes it easier to forget about calories and focus on nourishment! 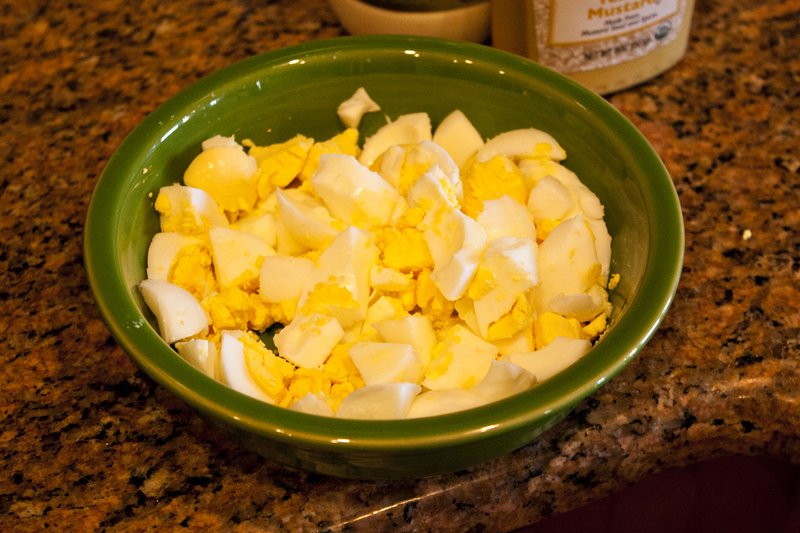 Today I made a batch of hard-boiled eggs to have around for a protein packed snack or a delicious egg salad sandwich. I used Jillian Michael’s method and it worked like a charm! 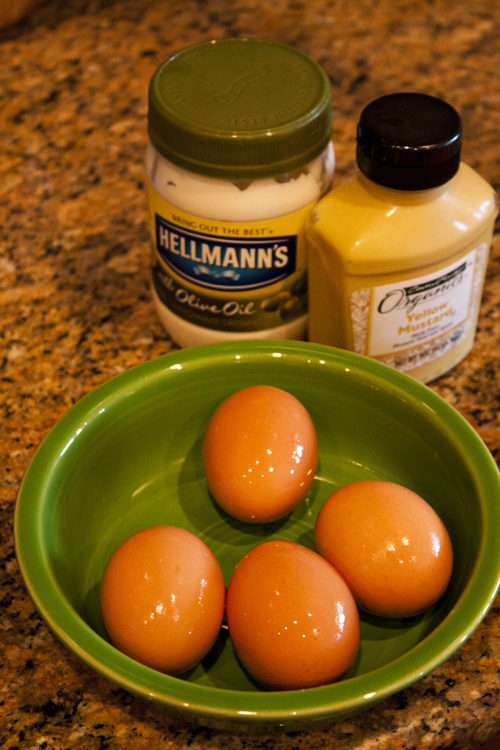 Simply put the eggs in a single layer in a sauce pan, cover with 1.5 inches of water, cover, and put on medium-high heat. Wait until it boils and then turn off the heat. Let sit, still covered, for 13 minutes. Meanwhile, prepare a bowl of ice water. 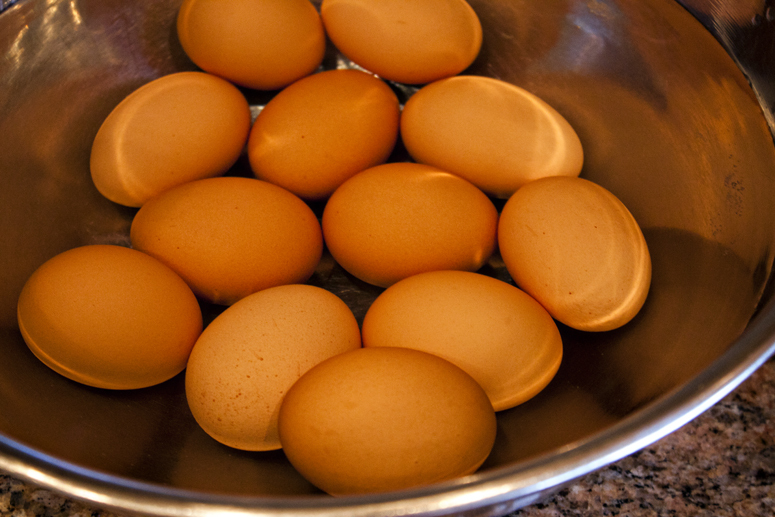 Once the thirteen minutes is up transfer the eggs to the ice water until completely cool. 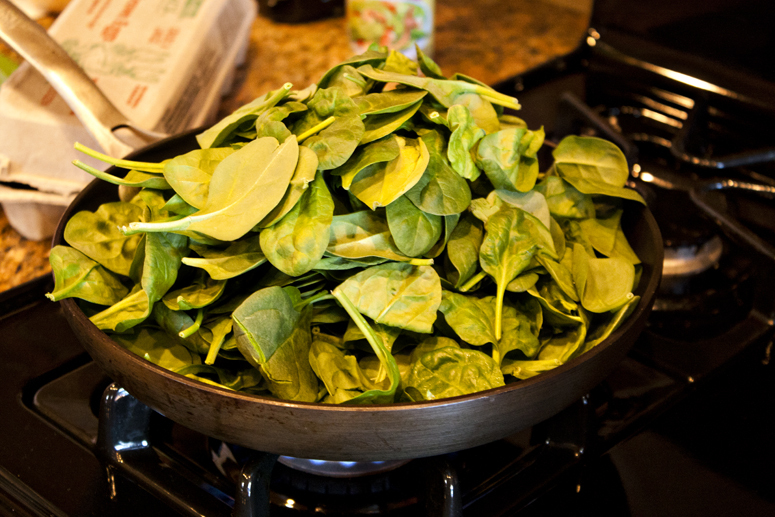 Sautee a bunch of spinach…. 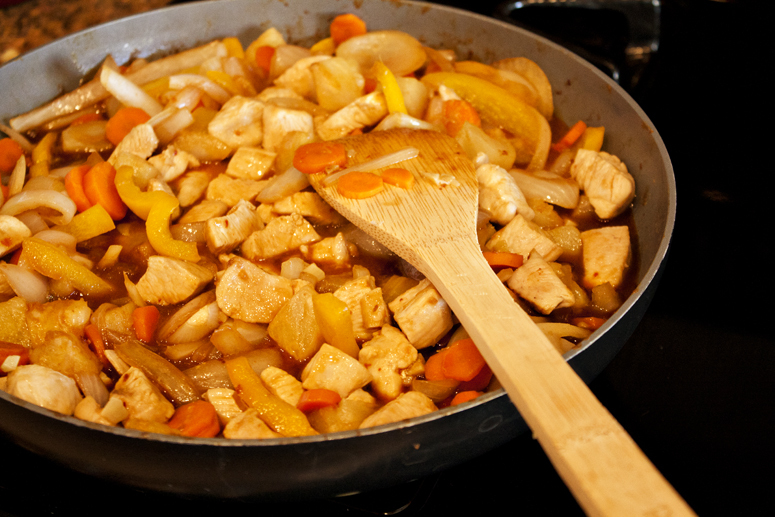 And create a delicious lunch for your family! Speaking of yum, I have a confession to make. I have an addiction. A serious addiction. 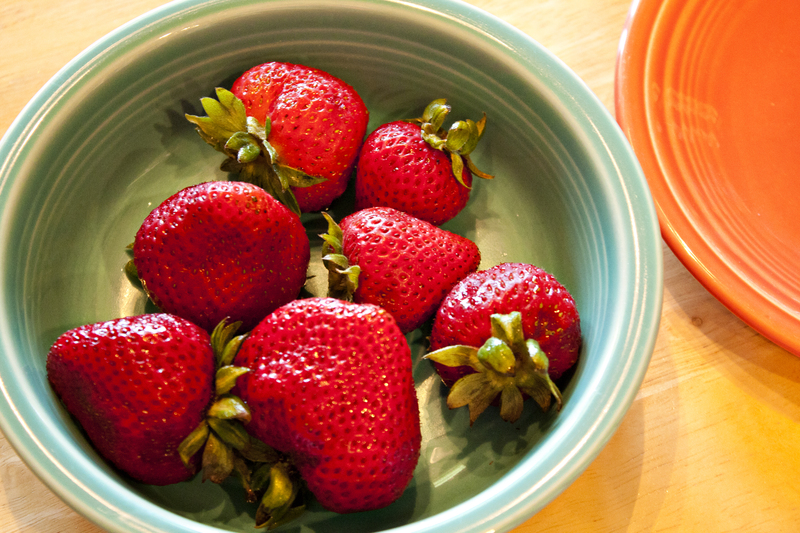 I’ve eaten so many strawberries this year it’s crazy. I had two bowls of them today, I just can’t get enough! They taste like candy to me! It’s an addiction I will continue to not battle for the rest of my life. 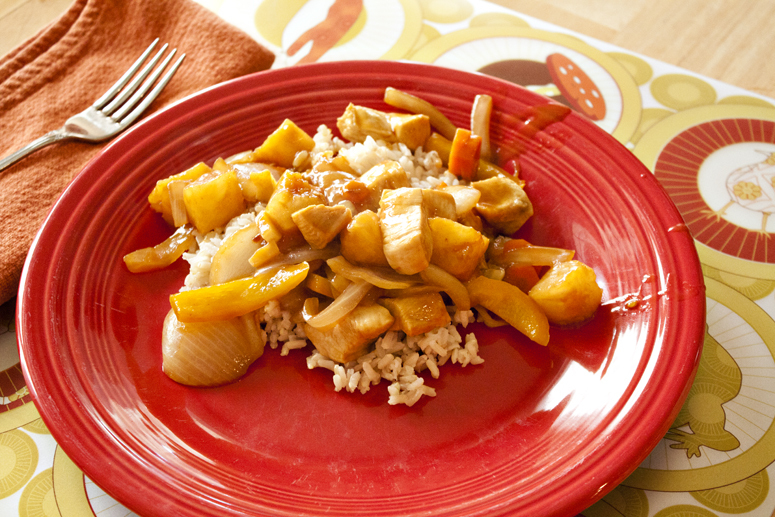 For dinner we whipped up a healthy version of sweet and sour chicken with tons of veggies and brown rice. It’s super fast and delicious! This entry was posted in food and tagged cooking, food, healthy-living by Georgia Mae. Bookmark the permalink.